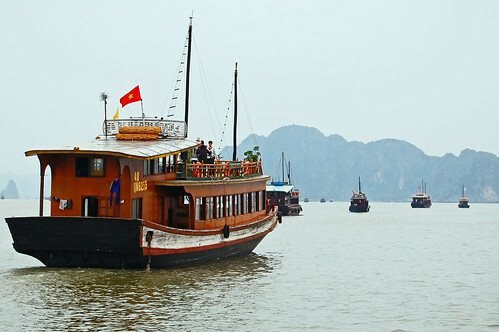 Taking a cruise on a Halong Bay junk has long been on our wanderlist. In fact, it's item #24 on our 30 before 30 list. And we even put it on our Vision Board for this year. 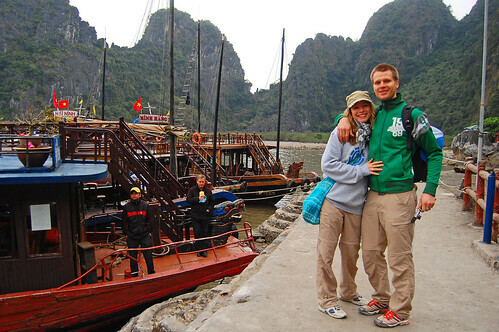 So you can imagine our excitement when we finally got to Hanoi, just a few hour's drive away from Halong Bay. There were many tour options. Way too many in fact. There's the flashpacker option which meant you had to cough up $74 for a 3day/2night tour. There was the backpacker option, which was affordable at $40 but may not be worth the expense and the effort. Then there's the dirt cheap Day Tour option for only $15 through Sinh Cafe Tours where you get exactly what you pay for. I took the last option because of several reasons: The weather was cold and cloudy. That meant I had to freeze half to death before I can enjoy the view of the ocean and limestone karsts. Forget about spending the night and looking at a starry sky. 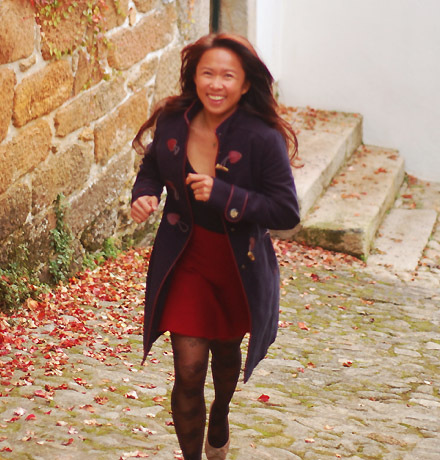 I also wanted to spend as little as possible from our hard-saved Escape Fund. Being the party girl that she is, Chichi chose the 2 days/ 1 night party boat cruise.This was a great chance for us to compare notes and share it with you guys. That's coming up next! Being a photography enthusiast, I was really intent on getting great shots from the junk. But the weather was cold and a thick fog followed us everywhere. Not the conditions I was hoping for. I froze every time I climbed up the deck to take some shots of the limestone mountains. Where did the pretty sails go? The first thing I noticed when I got to the pier was the huge number of boats. They all had Vietnamese flags on them. But no sails. Did we just pay 15 bucks to ride a funk (fake junk)? 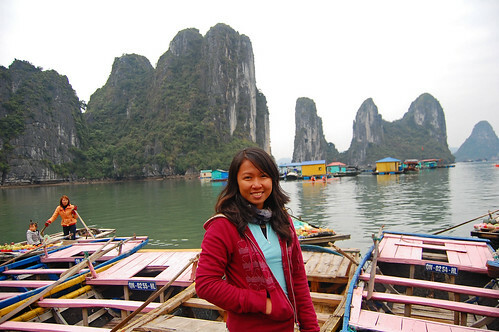 Where were the pretty sails of my Halong Bay dreams? 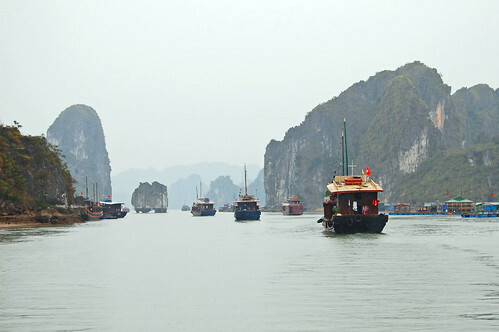 Every time I saw a poster of Halong Bay, the boats would always have red or yellow sails which gave a splash of color in the vastness of the ocean. I asked the guide why we didn't see any pretty junks. He gave me vague answer saying there were only few of those around since they are regulated by the government. I just stared at him in disbelief. There were several stopovers on our trip. On the ride to get to the pier, we stopped by Ruby Souvenir shop for more than 30 minutes each way. There were also many stopovers on the cruise at the 'floating markets' that sold fish, fruits and what else- more souvenirs. We might as well have stopped by a personalcreations.com baby gifts shop too! We sat across across a couple from Bavaria, Sebastian & Tina. They have also been traveling for some months and we swapped travel stories. I used up all of my German vocabulary (all 3 sentences of it). They had considered traveling in the Philippines and we told them about the beautiful beaches of Palawan and stunning terraces of Sagada, They were a fun couple and we enjoyed hanging out with them for the day. The last stop on our cruise was a nice surprise: Sung Sot Cave, which means Cave of Surprises, is the biggest and finest cave in Halong Bay. 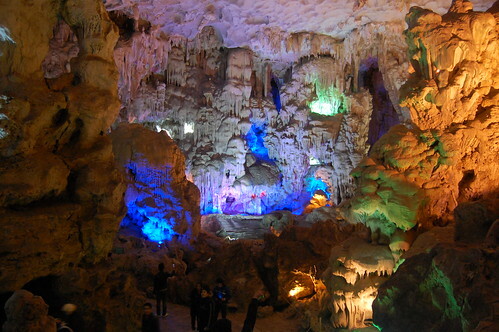 The caves are cavernous and immense and there were dazzling lights to guide the way. This was the Disney Land of caves! 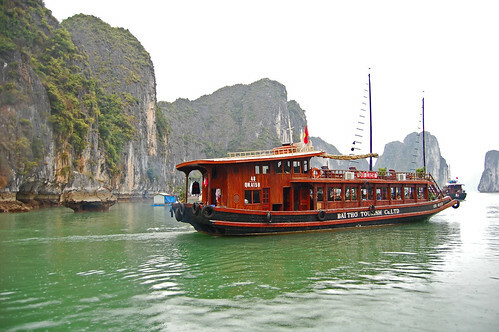 Our Halong Bay cruise may be dismal, but for only $15 we sure got our money's worth. Although it didn't live up to our expectations, it's still worth going. Much of our enjoyment also depended on the people we ended up with on the boat. It may not be as fantastic as my Halong Bay fantasy, but being there, marveling at the beauty of the place and sharing it with others was still a memorable experience. 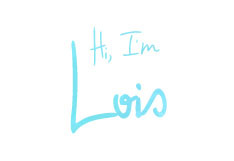 -How much does the tour cost and what is included? -How many people will be on the cruise? -Is there a refund/reschedule in case the weather conditions are bad? -Is hotel pick up and meals included in the price? Make sure you get your money's worth! 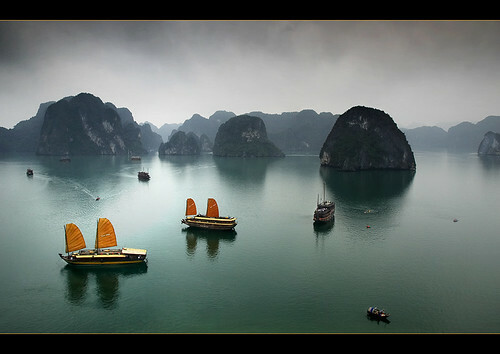 What is your Halong Bay fantasy/experience like? Share your stories by leaving a comment below. Thanks Claire! Halong Bay- check! Angkor Wat tomorrow. Now what could be Halong Bay in the Philippines.. Coron? Tama ba? Good choice Gaye! Budget and practicality wins! But you can also wait for Chichi's party cruise experience. Maybe she'll change your mind. 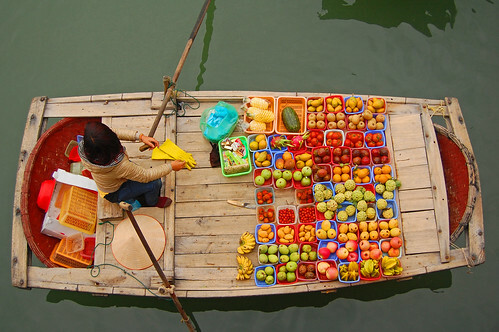 I really enjoy following your adventures through Vietnam in these posts. 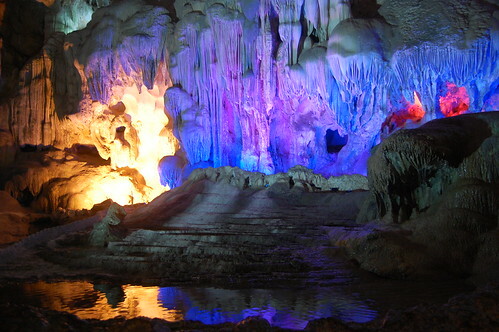 I also took this tour through Halong Bay and went to the Sung Sot Cave when I was in Hanoi. I think you would have liked it a little more if it were warmer. When I went there, we were jumping off the boat into the bay and swimming around with the fish around the boat. I had a pretty good time. We had a lot of cool people on the boat to interact with too so that helped. You're absolutely right about the warm weather Steve. We were very optimistic and even wore bathing suits under our coats. But the weather prevailed. I would have enjoyed jumping off the boat and swimming. Sounds like a lot of fun! 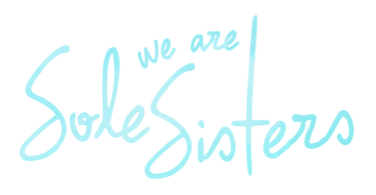 Thanks for following our adventures! you know na what i'll choose right? or can i bring my own sail if ever (day-dreaming lang)? still, you have been to a UNESCO heritage site.